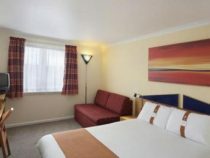 Holiday Inn Express Stirling boasts contemporary design and air conditioning throughout, plus comfortable bedrooms for business and leisure travellers. 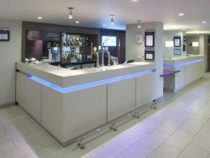 The Holiday Inn Express hotel is designed to offer comfort and convenience with great hotel accommodation facilities and the perfect location for exploring Central Scotland, Edinburgh and Glasgow. The Trossachs National Park and Loch Lomond are nearby and Stirling itself boasts fascinating sights such as the William Wallace Monument, Stirling Castle and Blair Drummond Safari Park. Whether you're on business or pleasure, of all the hotels in Stirling, a stay at Holiday Inn Express Stirling is a great option. 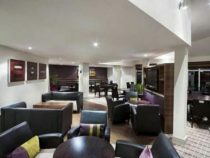 Holiday Inn Express Stirling has got everything you need and they even throw in complimentary hot breakfast with every room rate!